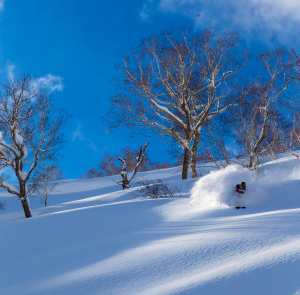 We might sound like a broken record when it comes to harping on about the proverbial Japow, but there’s a side to skiing and boarding in Japan that simply doesn’t get the attention it deserves. 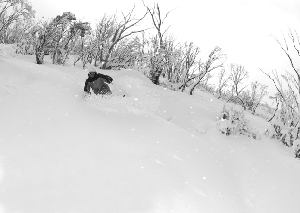 A snowballs throw from some of Japan’s best skiing exists some of its best cultural and natural beauty. This is the side to Japan I’m talking about. 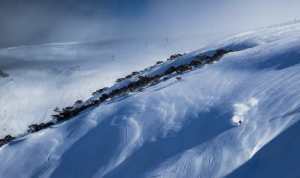 Ishikawa is located on Honshu’s northern coast between the Sea of Japan and the Japanese Alps. 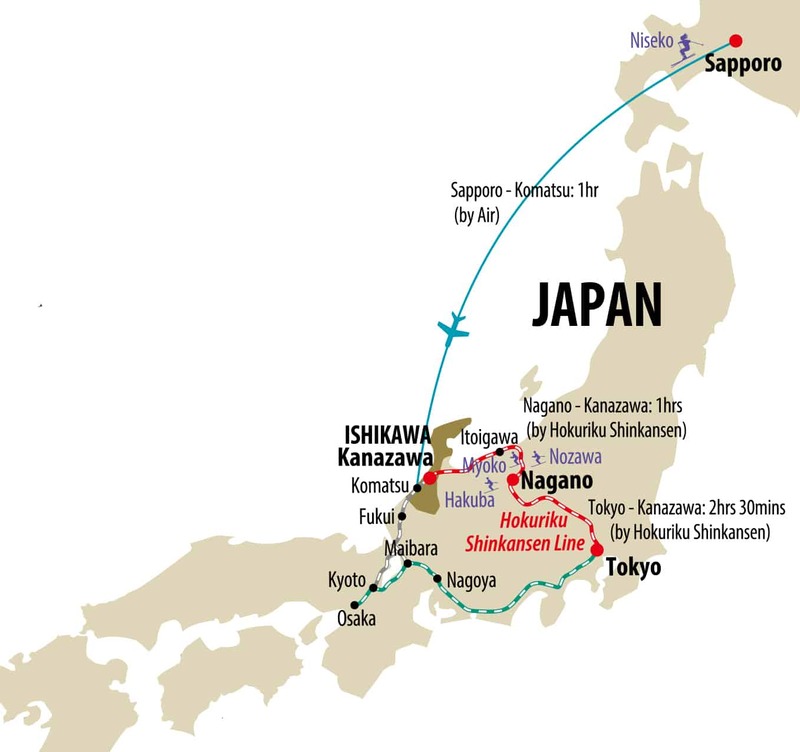 It is only a 1-hour journey by shinkansen (bullet train) from Nagano, the prefecture in which the likes of Hakuba, Nozawa Onsen, Myoko Kogen, Shiga Kogen and Madarao Kogen all reside. 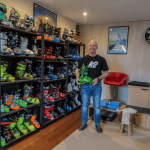 While this means it’s possible to visit the Ishikawa prefecture during a single day off the slopes, we suggest bookending your trip with a visit there and spending a few days in order to really appreciate the regions many attractions. 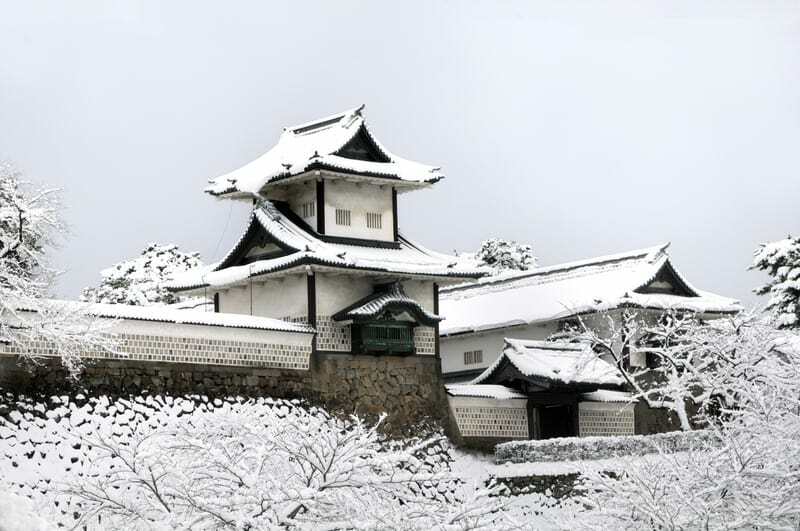 The Capital of the Ishikawa Prefecture is Kanazawa, one of the few great castle towns of Japan. 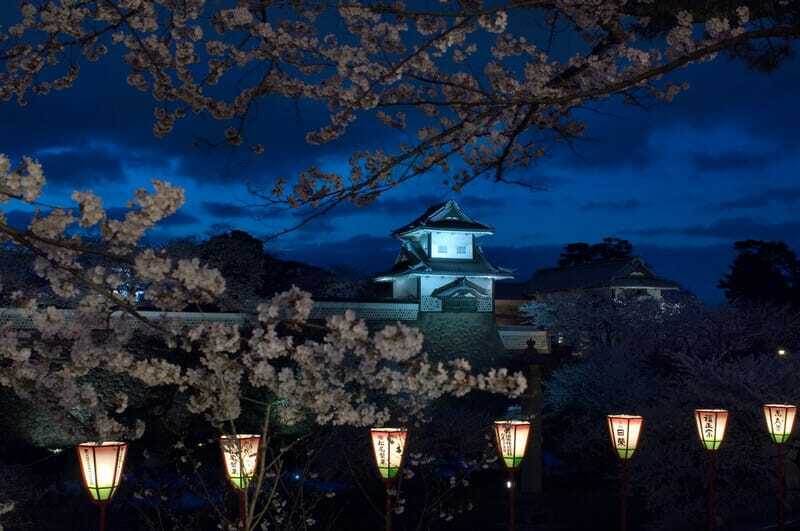 Almost 500 years ago, the first feudal lord Maeda Toshiie entered Kanazawa Castle in 1583. 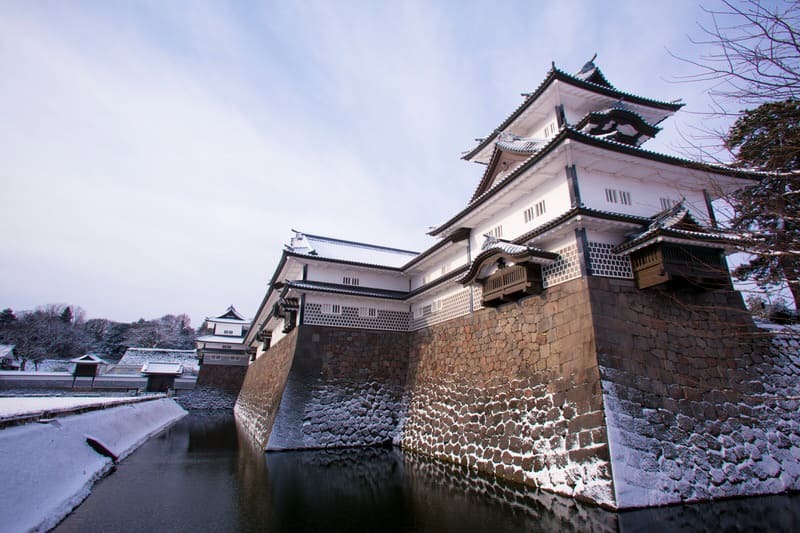 Since then the castle has evolved into an architectural symbol of Japan and become arguably one of the countries most influential cities. 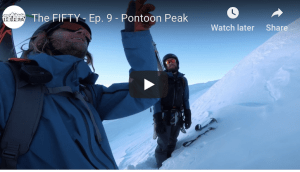 Perhaps most astoundingly, not a single nail was used in the construction of many of the buildings. 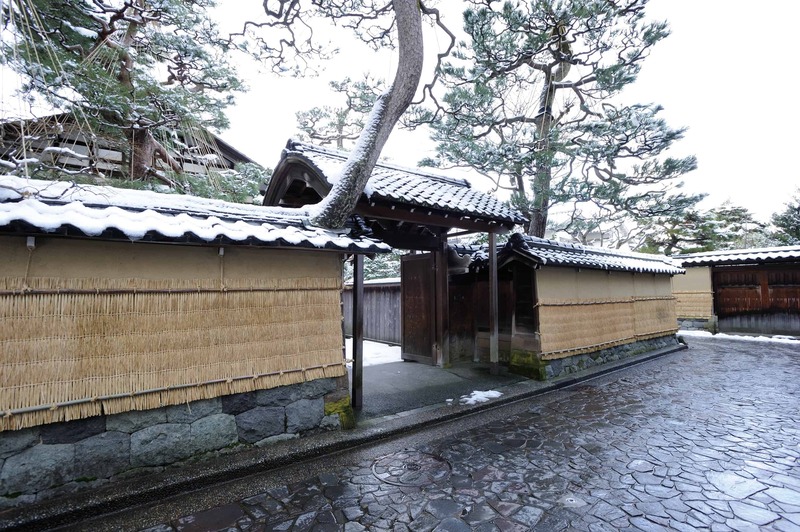 Kenrokuen, located in the center of Kanazawa City, was originally the private garden neighboring Kanazawa Castle which was the residence of the Maeda Family, the feudal lord reigning the area in the Edo Period. 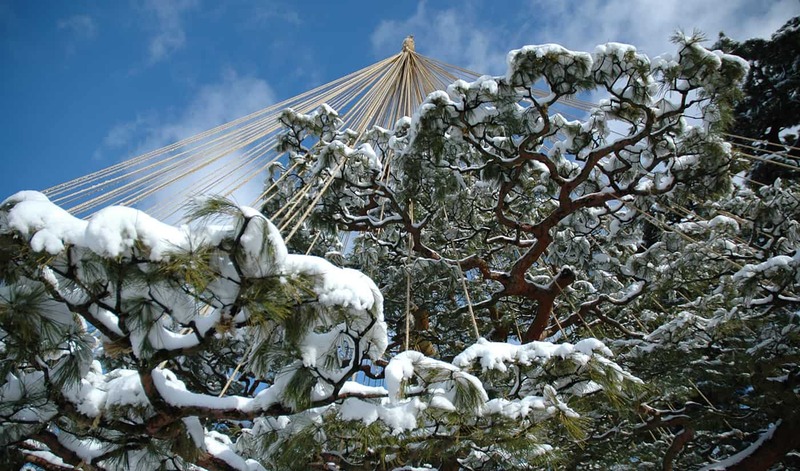 Kenrokuen is considered as one of the three most beautiful gardens in all of Japan. 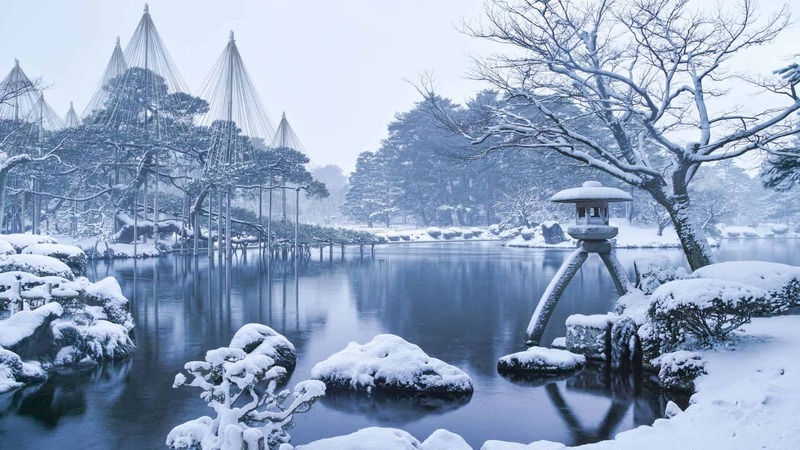 The name “Kenrokuen” means “a garden combining six.” The garden was so named because it was considered to have all six attributes of a good garden; spaciousness, quietness, human artistry, stateliness, abundant water and rocks and broad, expansive views. This beautiful large stroll-type landscape garden was created and loved over a long time by Kanazawa’s successive feudal lords. Once the outer garden of aforementioned Kanazawa Castle, Kenrokuen was opened to the public in 1874 and now extends almost 25 acres. Unsurprisingly considering the scale of the aforementioned Kanazawa Castle, The Ishikawa Prefecture is replete with Samurai culture. 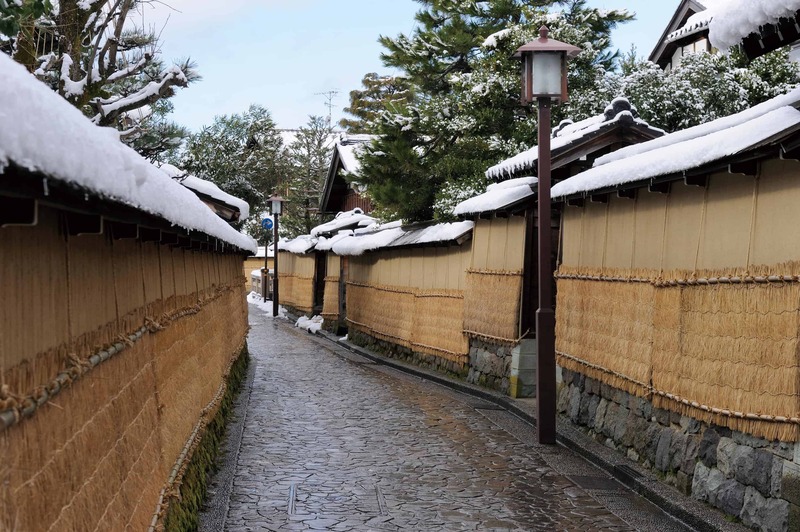 The Nagamachi Samurai district is located at the foot of Kanazawa Castle, and as the name suggests, is where middle-ranking samurai and their families resided. 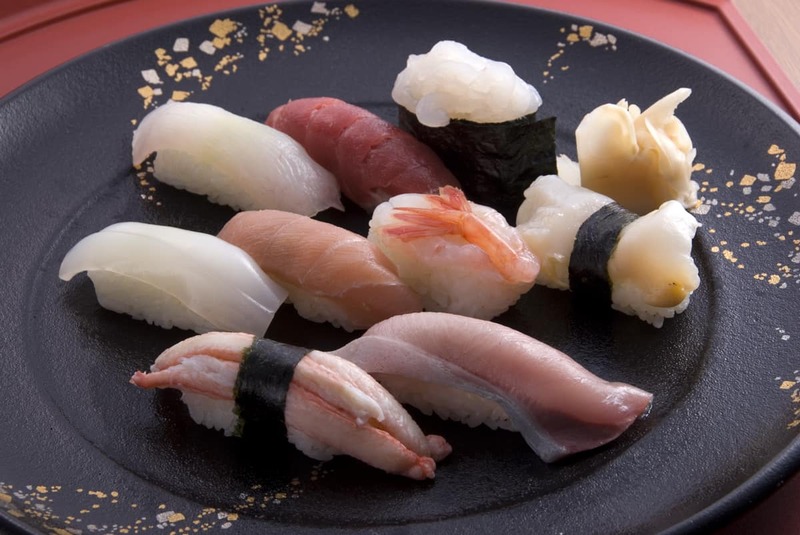 As it is bordered by the Sea of Japan, it is no surprise that Ishikawa boasts some of the best sushi in the country and thus, de-facto the world. The Ishikawa prefecture is a veritable food bowl itself with rice harvested in the Kaga Plain, famous Kaga vegetables grown in Kanazawa and as aforesaid, fresh fish and shellfish from the Sea of Japan. Indeed it is no stretch of the imagination to say, some of Japan’s best restaurants are located in Kanazawa! 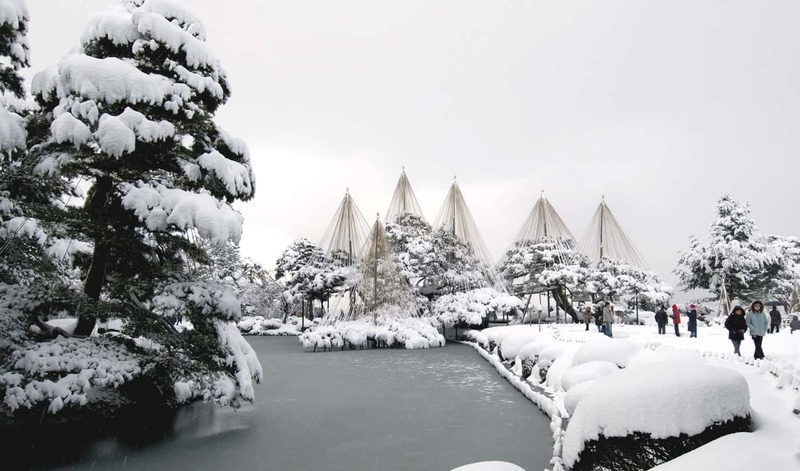 In addition to being delicious, the cuisine afforded in Kanazawa and the surrounding Ishikawa prefecture is equally aesthetically pleasing – a thread that runs throughout the region and the cultural experiences to be had therein. The word Kanazawa literally translates to “marsh of gold” and is said to derive from the parable of peasant Imohori Togoro, who reportedly made his living digging for potatoes, before uncovering swathes of gold dust. The name also pays homage to one of the regions primary resources, which produces more than 99% of all gold leaf in Japan. The fine sheets of precious metal are so thin they disappear if rubbed between one’s fingers – a thickness of some 0.1 to 0.125 millionths of a metre. 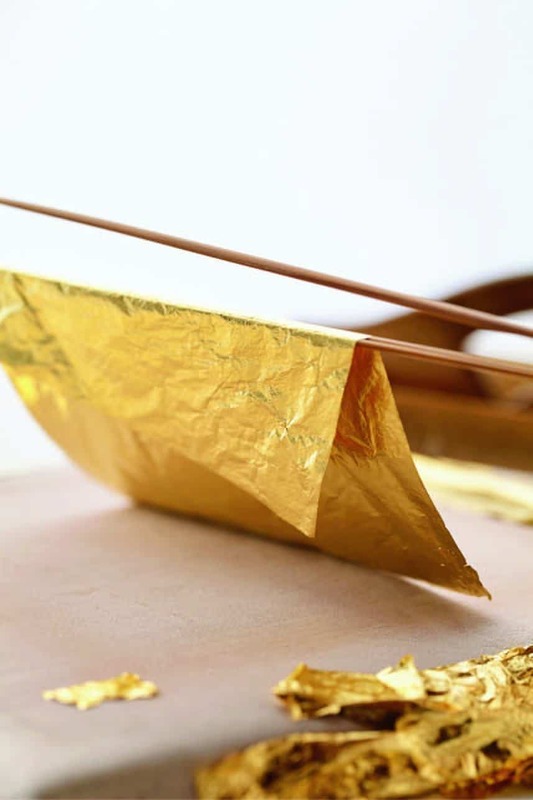 Renowned for incredible human artistry, the practice of Kaga-Yuzen in Ishikawa refers to a silk-dyeing process well worth checking out – if not attempting for oneself. 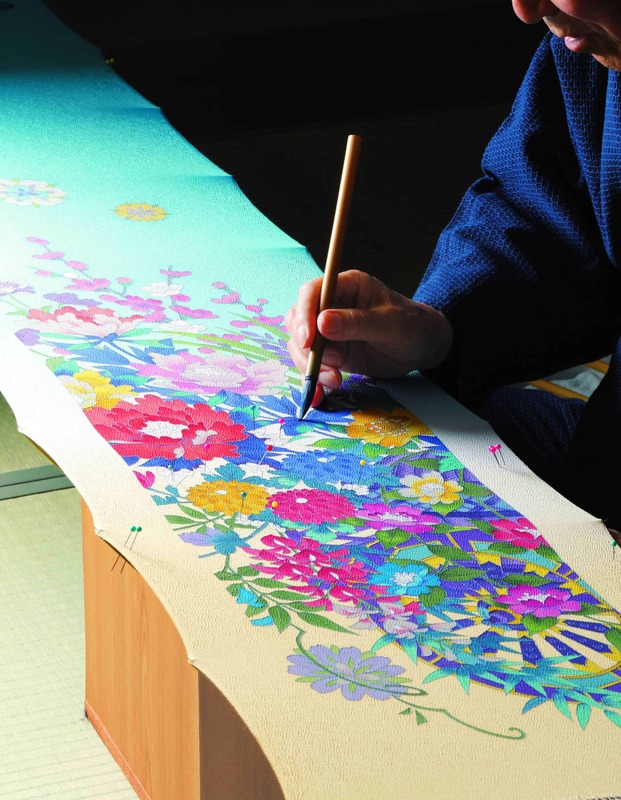 So-called ‘masters’ of the traditional practice use only five pigments in their depictions of Japanese flora and fauna in a process that takes several months to complete. 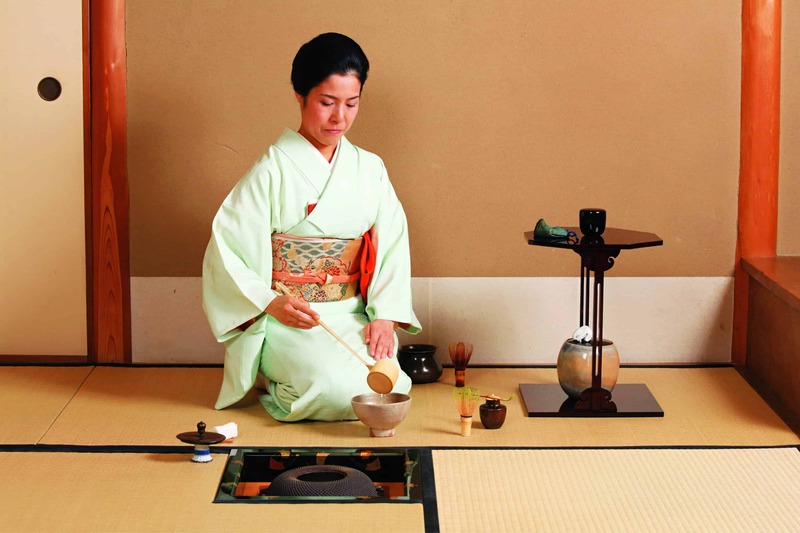 Cha-no-yu (also known as Chado – The Way of Tea) is the ceremonial preparation and presentation of powdered green tea. Interestingly, tea ceremonies have their tradition in being a symbol of a samurai warrior’s power and prestige – as well as being an important courtesy with guests. There are reportedly more than 3000 ‘hot spring resorts’ in Japan and the Ishikawa region boasts a great many of these ‘Onsens’. 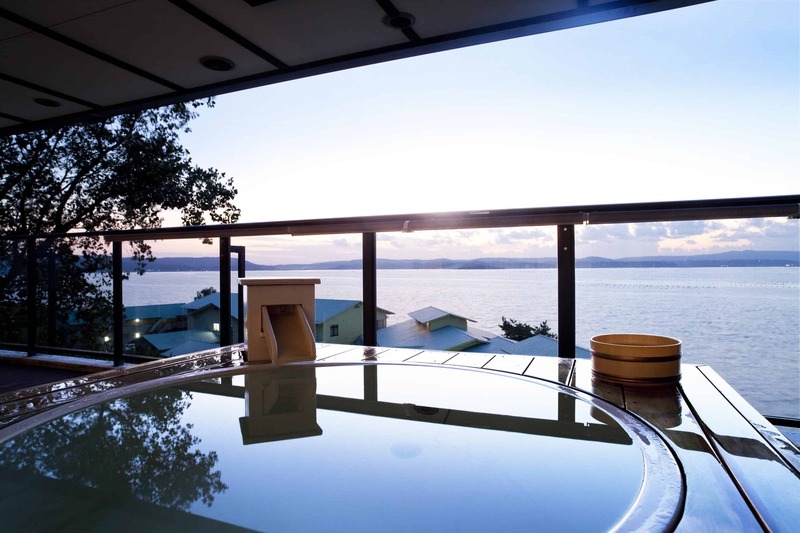 Perhaps most enticing is ‘Wakura Onsen’, one such hot spring bath that affords rare ocean views. Wakura’s warm waters have been rejuvenating locals and travellers alike since as far back as 1641.